The two-day forum program will generate 25-30 events. 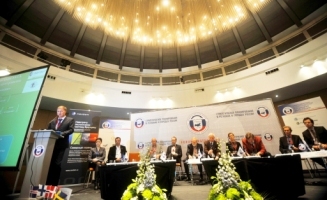 The organizers of the events are federal ministries, leading world and Russian consulting and expert organizations. To enhance the balanced and sustainable development of the regions and cities of Russia by means of improving the system of territorial strategic planning, supporting coordination and public dialog on long-term development priorities, and creating and promoting up-to-date standards of planning. to show the potential of technology integration for the development of internal competitive advantages in regions and municipalities. to identify strategic opportunities and risks for the Russian regions, caused by the changes in the external environment - the reinforcement of cooperation and collaboration in the field of interregional cooperation and international relations.